Paul Ihechi Alagba Writes From The Desk Of Family Writers Press. The unveiling of Jubril Aminu Al-Sudani is a gradual process. In fact, I love the way Mazi Nnamdi Kanu, the supreme leader of the Indigenous People of Biafra (IPOB) globally, is going about it, which has put Aso Rock in total disarray. For those asking about the stage we currently are in unmasking this impostor, I want you all to know that we have removed his cap, captured his ear, measured his size and unraveled his dialect and facial disparities. All these without any objection from the cabals in Aso Rock. The next stage we are heading to, courtesy of IPOB leader, Nnamdi Kanu, will shock Nigerians. We are going to undress Jubril, and leave him stark naked to the whole world. The cabals are now murmuring within themselves. JUBRIL: This troublemaker knows too much, we are in a deep mess!... Oga Abba Kyari, you told me this is only between me and you... Oh! I am finished! ALHAJI ABBA: Common stop being childish. After all, you caused it all. Let us remain quiet and calm, he said he will expose more. I do not think that infidel can succeed in this. We should hear him out first, then employ BMC to save us. CABAL 8: But emmmm! he said he has the DNA result, and some people will be coming from the United States of America to analyse it on live television.... I am afraid, he has a lot of information. CABAL 10: Mr man, which television are you talking about here? 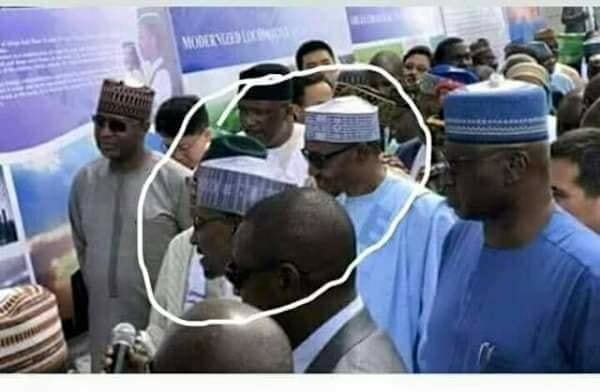 CABAL 8: I do not know ooo... but some people are saying CNN, Al-Jazeera, Fox and even the Israeli National Television are competing to carry the breaking news. ALHAJI ABBA: Hmmm! No, this will not happen. We have Nigerians under control... Call Lai Mohammed and Femi Adesina to fabricate some distractions. EMPEROR El-RUFAI: Do you think that will solve the problem? You do not know those you are dealing with. Sometimes you surprise me with your reasoning. I have some Palestinian suicide snipers that can easily get the job done at Western Wall. You know that is where that small boy like deceiving himself every Friday. 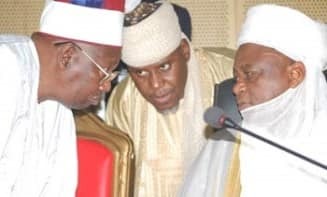 ALHAJI ABBA: Calm down El-Rufai! Your blood is always hot. You think Israel is Kaduna? I do not want another Umaru Dikko mess up this time around, and perhaps, this very issue is enough nightmare. Let me survive it first. My only anger is on Jubril... I warned him never to touch anything at White House, apart from Donald Trump's palm, but he went there and forgot himself... Now the secret is no longer a secret. ALHAJI ABBA: (Surprised, and frowns at Pastor Osibanjo). What are you doing here, who invited you here? Common go and tell Nigerians we are giving them subsidy on rice this December. Tell them the presidency said so. Emmmmm, afterwards go to your room and prepare for election debates. (Returns focus to fellow cabals)...Sorry my brothers... Can we continue?